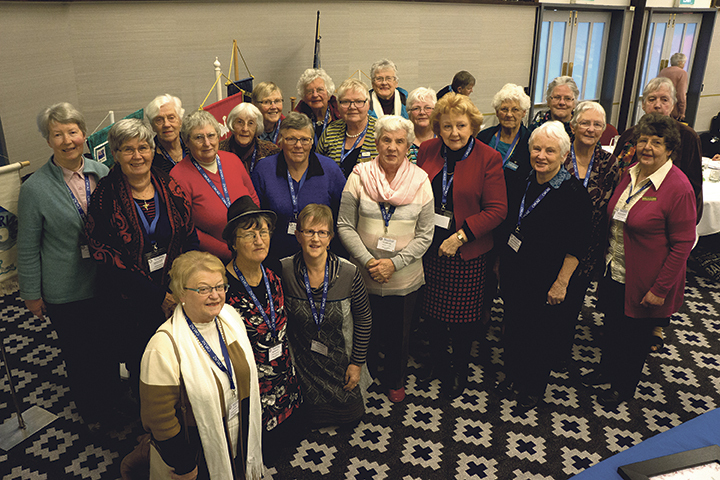 About 150 members of the Catholic Women’s League of Aotearoa New Zealand – from all six dioceses – will gather in Wellington from 25 to 28 July for their biennial National Conference. It is at the Brentwood Conference Hotel in Kilbirine. Cardinal John Dew will celebrate the opening Mass. Every two years a national conference is held in one of the dioceses to bring together members to support the education of women by highlighting current issues and concerns. This year’s Conference will conclude the 2016‒18 theme: ‘The Face of Mercy in Creation’ and launch the new theme for the next two years: ‘Women Welcoming Change’. This being the 125th anniversary of women’s suffrage in New Zealand, is a timely reminder that the Catholic Women’s League has its origins in an international movement set up in London by Margaret Fletcher in 1906, when the enfranchisement of women was being sought. Margaret saw the need to promote the social education of women, and to be a voice for Catholic women in social issues. 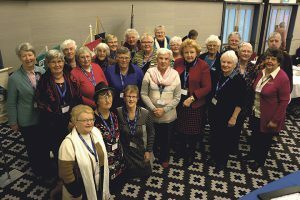 The NZ Catholic Women’s League began in Auckland in 1931 and has spread throughout this country to become the largest Lay organisation in the New Zealand Catholic Church. give Catholic women a voice in the Church and society. The conference has been arranged by a group of volunteers. Sponsorship is invited to help with costs, especially for a high-quality sound and vision system. Please contact: Christine Paterson, Archdiocesan President CWL, email ian_paterson@xtra.co.nz or phone (04) 479 6274. All sponsorship would be appreciated, acknowledged and receipted.